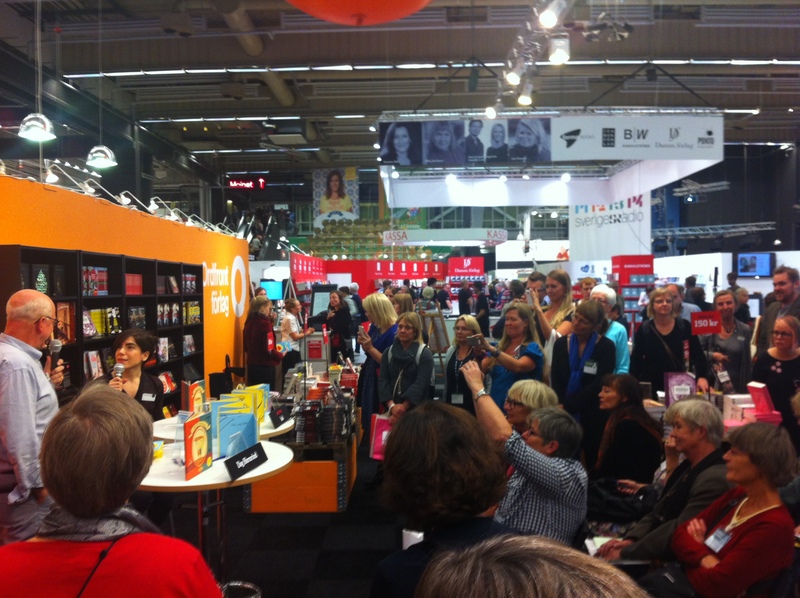 Yesterday was another busy day for Isol at the Göteborg Book Fair. By lunch, she had already made four appearances, among them conversations with illustrator Gunna Grähs and Ulla Rhedin, member of the ALMA jury. For Ulla Rhedin Isol explained how image and text comes to her at the same time, and how one inspires the other in her creative process. When the text says one thing, the picture sometimes tells the opposite. “The reader has the last word” as Isol puts it. We also got to know that Isol, in the work with her forthcoming book, again has added elements that she never tried before. And that the book is going to be her longest so far, “around 54 pages, it seems”. 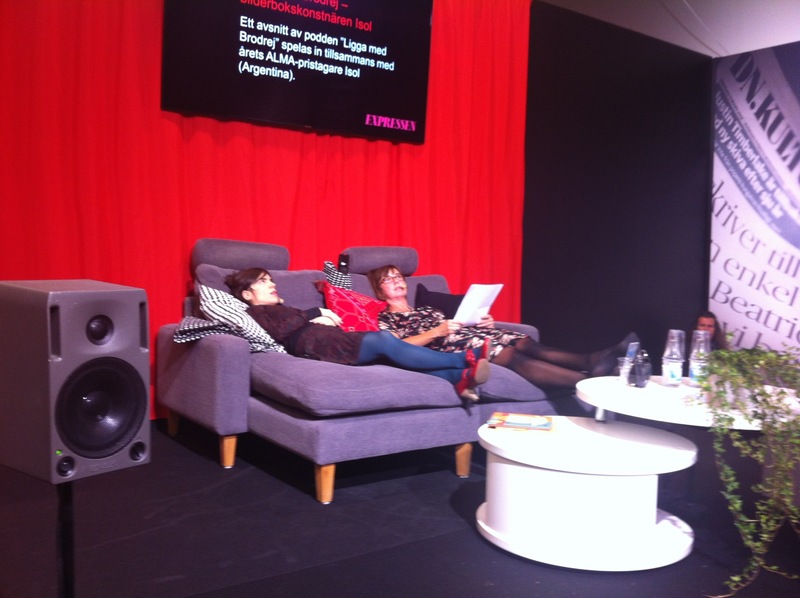 During the last days of September literature is celebrated at the Göteborg Book Fair. The first two days most of the visitors are librarians, authors, policymakers, publishers and other advocates for literature. For me, going there is like being a kid again, with my own toy store. So many interesting seminars, so many good news (yes, there are problems too), so many smart, hardworking, competent people looking for new, wonderful children’s books and for useful methods to make children read. 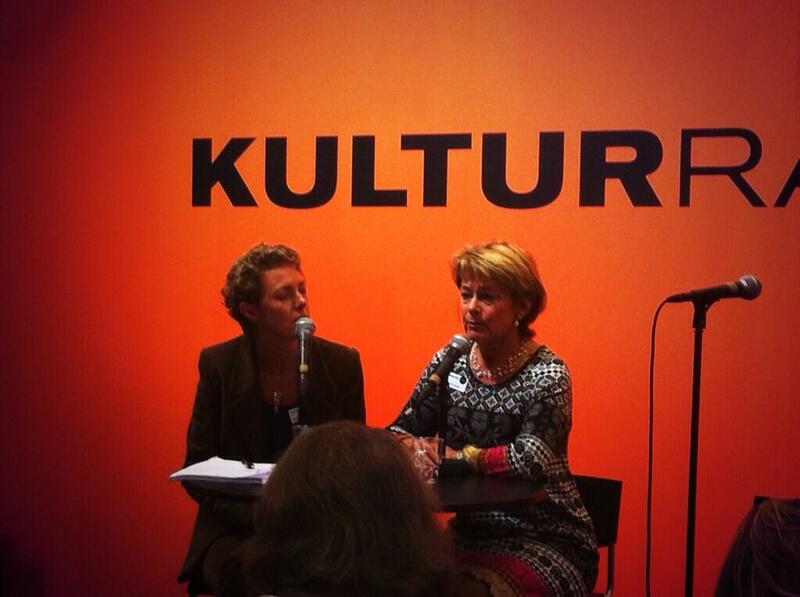 Yesterday the Minister of Culture, Lena Adelsohn Liljeroth, presented a government bill on literature. Among other things it proposes a new commission for the Arts Council to promote childrens literature “on a national, strategic, level”. Childrens’ reading is really on the agenda these days. Like every other European country we are worried about the fact that the number of poor readers is increasing. Especially teenage boys read less. During the last two days I have listened to scholars, teachers, authors and librarians adressing the problem. A depressing thing is a new investigation that shows that many teachers read very little, or not at all. Librarians, on the contrary, read much more than the average citizen. Even children read quite a lot, but a great part of it is short texts on the internet, on the mobile phone, while playing computer games. We need to make teachers read, organize modern school libraries, with professional librarians, promote cooperation between public libraries and schools and, of course, make sure that all those fantastic books reach the children. One of the solutions is to start seeing new media as a useful tool instead of a threat to “real” books. But, personally, I’m old fashioned enough to prefer paper books. Do I need to say that my suitcase was stuffed with books, when I left Gothenburg to take the train back to Stockholm. I will spend the rest of the weekend curled up in the sofa, traveling only in my mind. 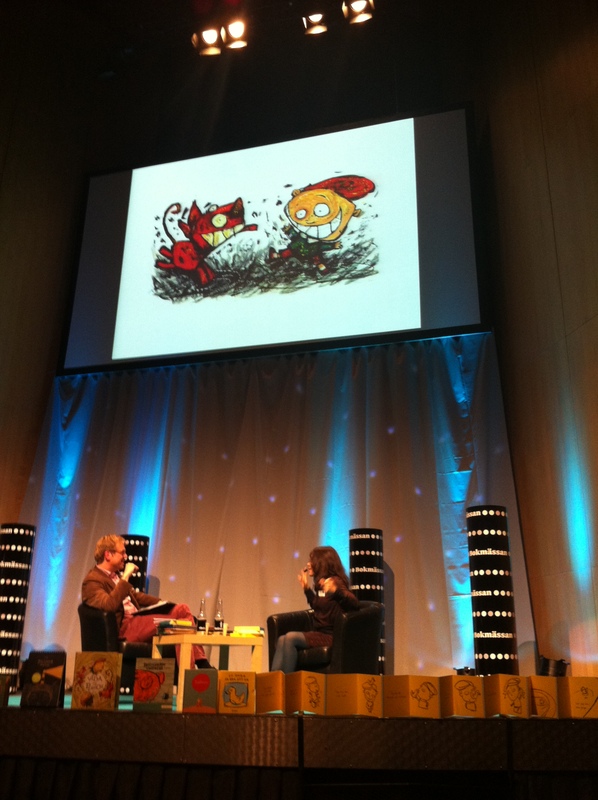 The first thing on Thursday’s agenda was a public talk with author and jury member Mats Kempe in one of the book fair’s largest auditoriums. 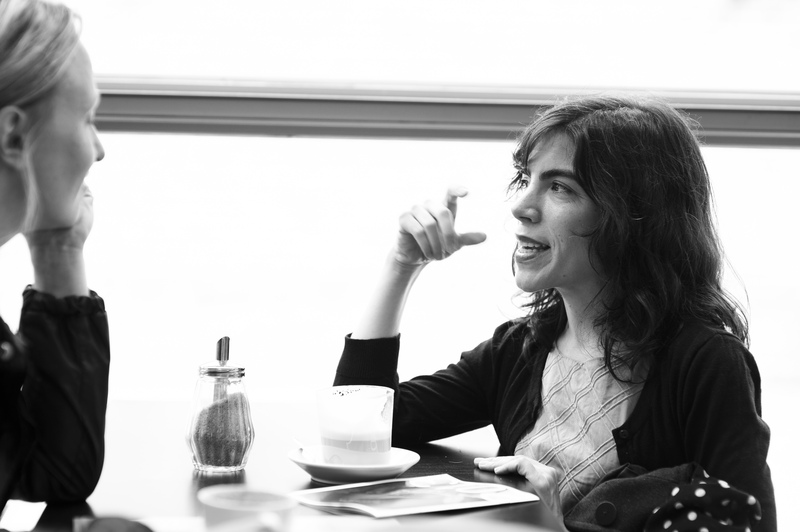 Isol talked about her first works, what inspired her and what influenced her when she was younger, but also about works like Petit, the monster, Vida de Perros, and It’s useful to have a Duck. 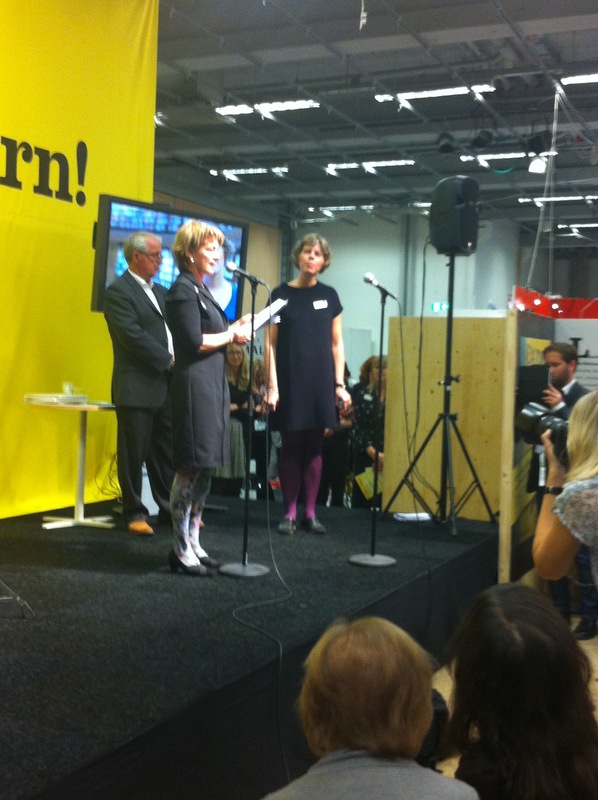 Next stop was the book fair’s big venture in the children’s lit department; being guest of honour when the Swedish Minister for Culture, Lena Adelsohn Liljeroth revealed the new Reading Ambassador after Johan Unenge (congratulations Johanna Lindbäck!). Alexander och påfågeln will be played for students from the ages of 7 up to 12 during the autumn. Isol, the laureate of Astrid Lindgren Memorial Award 2014, will be one of the international guests when Göteborg Book Fair opens next week. 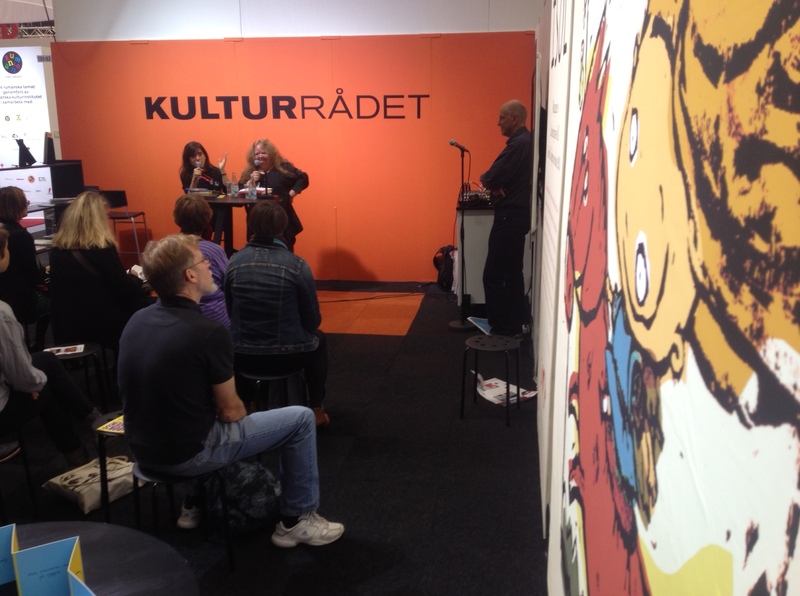 One of highlights of the fair is Isol’s public conversation with author and jury member Mats Kempe. Mats Kempe. The program will be broadcast live on Kunskapskanalen, Thursday September 26 at 1:00-1:45 pm, and will also be available on-demand on UR Play and the www.alma.se/en. Later the same afternoon Isol will be interviewed by journalist Gunilla Brodrej, Expressen, in the podcast “Ligga med Brodrej”. The podcast is broadcast live at 3:40 to 4:20 pm on this link and available on-demand on the same link. More about Isol’s program at the Book Fair here. 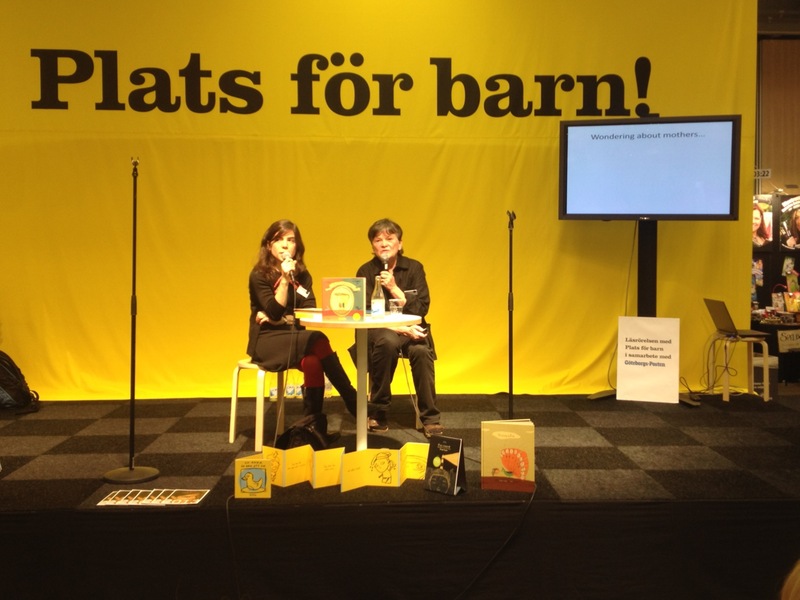 More about the program arranged by Swedish Arts Council at the Book Fair here. Illustration from Shaun Tan’s upcoming book Rules of Summer. It took a good fortnight of negotiation before I set foot in Shaun Tan’s studio. Long-distance dealings were punctuated by silences that raised their own questions. At one point, I learnt the studio was packed up, and not viewable for that reason. Given that Shaun Tan draws and paints in various media, writes, sculpts, photographs and also transforms his own words and images from book to animated film, I wondered what kind of space could house all these activities, and wondered what the space might tell me. How could it be “packed up”? 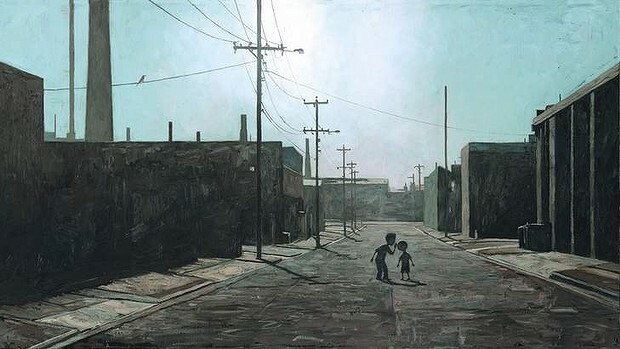 Shaun Tan won an Oscar in 2011 for co-directing the animated short film of his own book The Lost Thing. The usual pictures of record from Oscar night show him dressed in a dinner jacket, holding the gold and blinking under the lights. He looks happy, but less amazed or delighted or triumphant than most so photographed over the years. The look on his face is entirely the one you see any day of the week, the one I at last encounter in Melbourne. It’s polite, curious, reflective and sometimes glinting with un-uttered thoughts. Not carried away at all. The appearance is intellectual, almost clerical. The black eyes are bright behind oval rimless lenses, and he moves with a pale and sedentary air. The clothes are black on near black. I have seen figures like this, looking a bit lost around the edges of the Vatican in Rome. The Tan home is a tiny unrestored dark-brick Federation house in a little curved street in Brunswick, with most of the front taken up by large, bright fern-like plants. The plants mean the studio, the first room on the right as you step inside, is in permanent shadow, which the artist mildly admits is a bit of a problem when he’s painting. The room’s a tiny cabin of dark stained wood. Directly opposite in the other front room I glimpse a paint-stained mattress, some canvas frames and a lot of unidentifiable objects stacked on their side in another tiny space. This is the “packed up” part. Full article in Sydney Moring Herald here. I hardly ever think of my audience. If I do, it´s only to adjust the language a little. 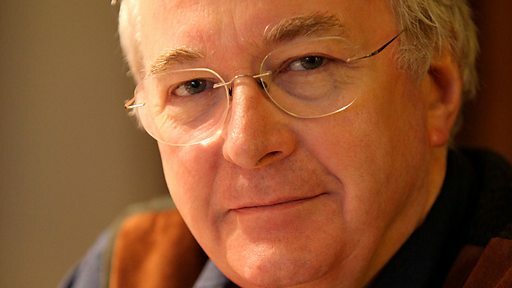 Listen to Philip Pullman who talks about his magical worlds and the inspiration for his magic words in Saturday Live on BBC Radio 4. Link to on demand program here. The award office caught Isol just before she went to Festilus in Chile. Almost three months since the award week in Stockholm took place, what’s your most lasting memory from the award week, when you look back? The day of the ceremony was a highly magic moment for me, like living in an incredible dream, my face wasn’t big enough for my smile, this is surely the highest milestone in my career as an illustrator. It was unbelievable to get such reward for my books and see so much passion for the sort of literature I too go crazy about. There was something like love-filed in the air! I think that’s why I dared to sing for the audience. Another unforgettable highlight was being in Astrid Lindgren’s house in Vimmerby and feeling part of a path in common. It was absolutely touching to feel her gaze on things and to be with her family, I feel I got the chance to learn a lot from that. 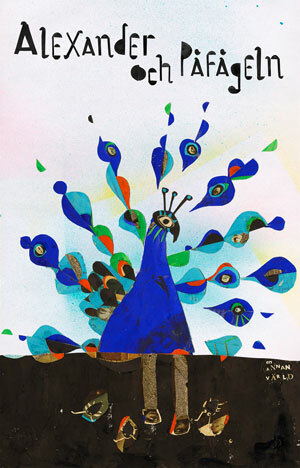 You´ve recently participated in Buenos Aires Children’s Book Fair. How has the rest of your summer been like? Have you had the chance to some rest and summer holiday? Ha-ha, to tell you the truth, we’re in full Winter in Argentina, so my holidays will have to wait until the end of the year! Everything has been quite hectic but -even though I may be a little exhausted- I keep enjoying the moment. I am on my way to Chile right now, where I shall be opening an exhibition of drawings especially made for this occasion, and I also shall be exhibiting some originals from different books and giving a few workshops and lectures. So I’ve been preparing all this trip and giving lots of interviews as well. In my little free time I try to take it easy going for walks with my husband and our baby, we’ve been spending some time at the countryside for instance. Well, I must finish it first! I hope it’ll be ready by the beginning of next year, and maybe it’ll be printed by the middle of the year. You have earlier said that the theme is about babies. Can you reveal anything about the story? It’s the oldest story in the world, but the newest one for me, and this is how I’m telling it, from this marveled and dazzled strangeness. What are your plans for the next months? I intend to go to Gothenburg by the end of September, but before that I still must make two short trips within Argentina. So I shall be preparing this, and hopefully finishing the new CD release of my band SIMA, I’m looking forward to that moment when I can sit down to compose some music. I hope I get to get back to my new book and polish some details until it really looks the way I want it.